Amazingly we had sausages left over from Soph making sausage rolls last weekend. 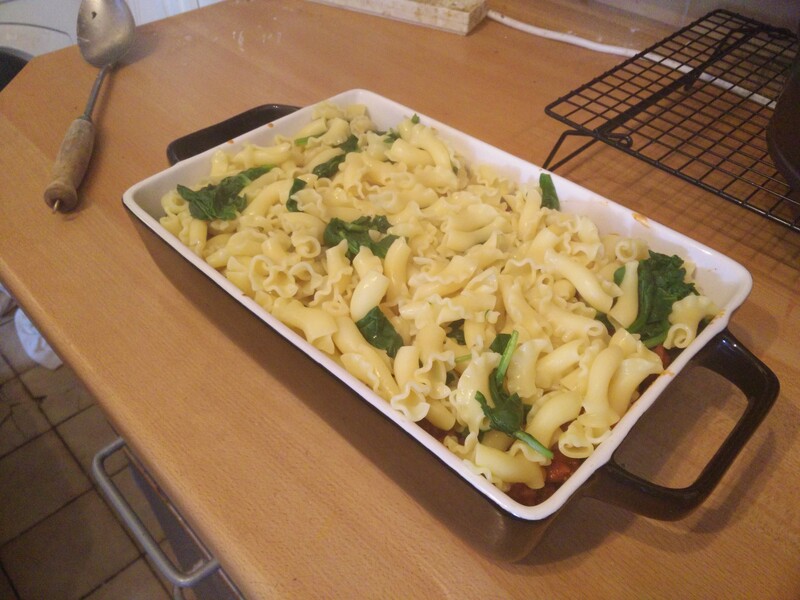 So this weekend they’re getting used up in a pasta bake. 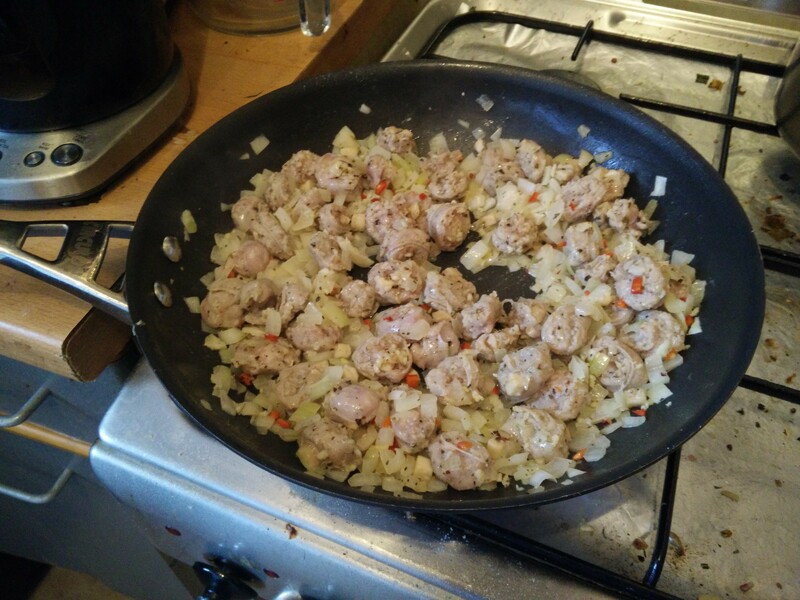 Onions get softened then sausage, chilli garlic and seasoning are added and the sausages get browned off. 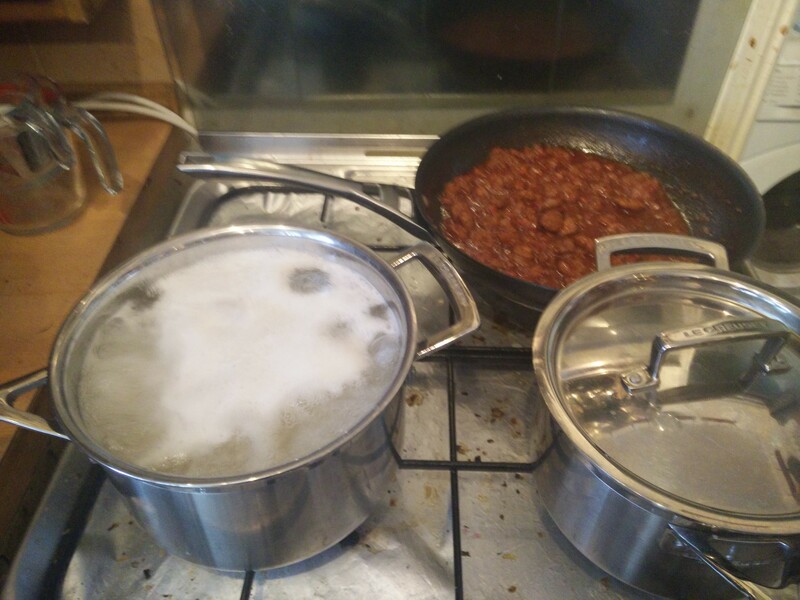 Pasta boils, a white sauce gets made, and everything cools. 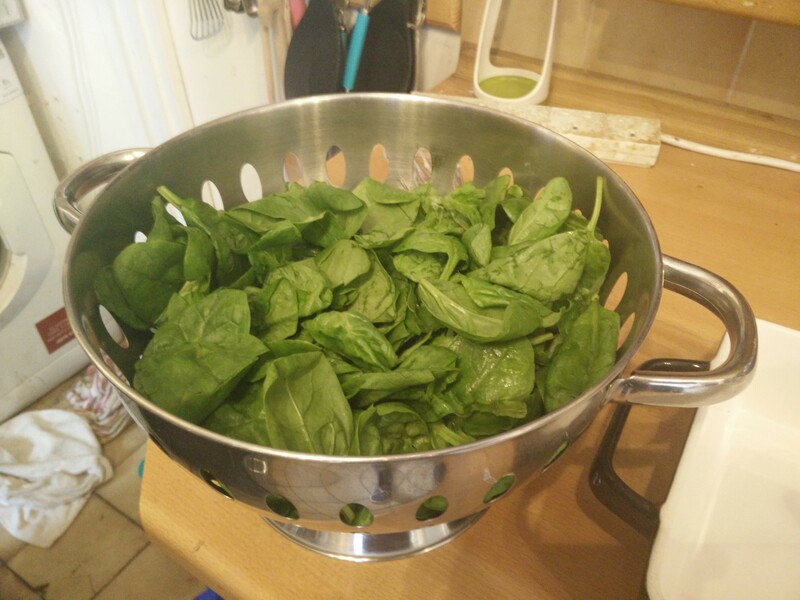 The paste is poured over spinach to wilt it. 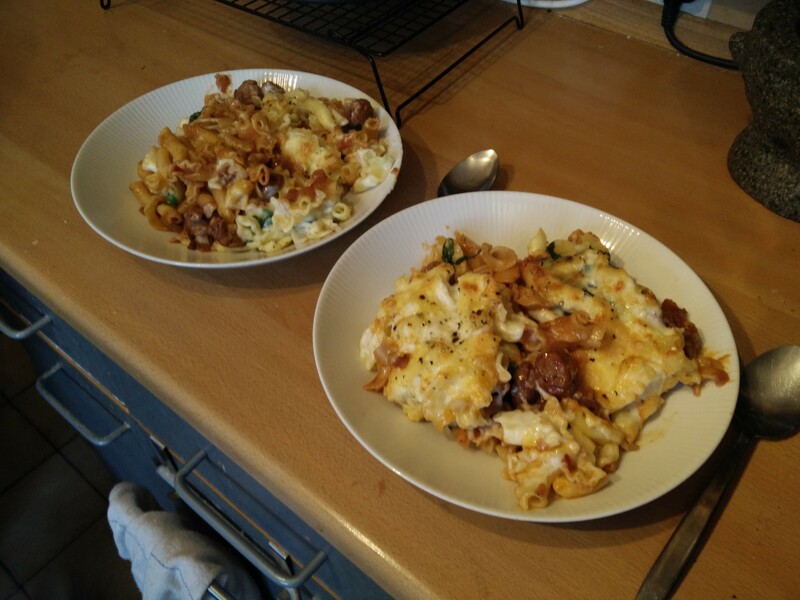 Then we layered up pasta, sausage sauce, pasta, white sauce. 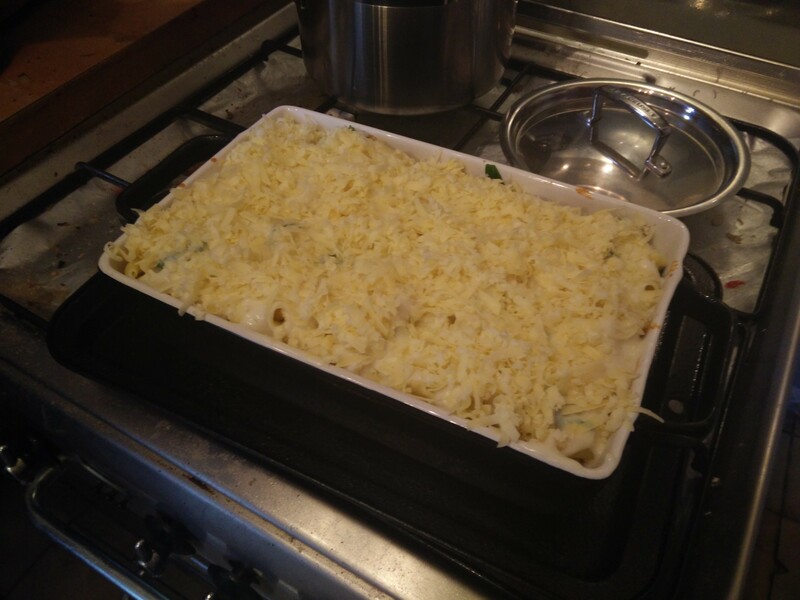 Top with grated cheddar, and put on tray as we assume this is going to bubble over! Bake at 170C fan for 25 minutes. And mmm tastes good! 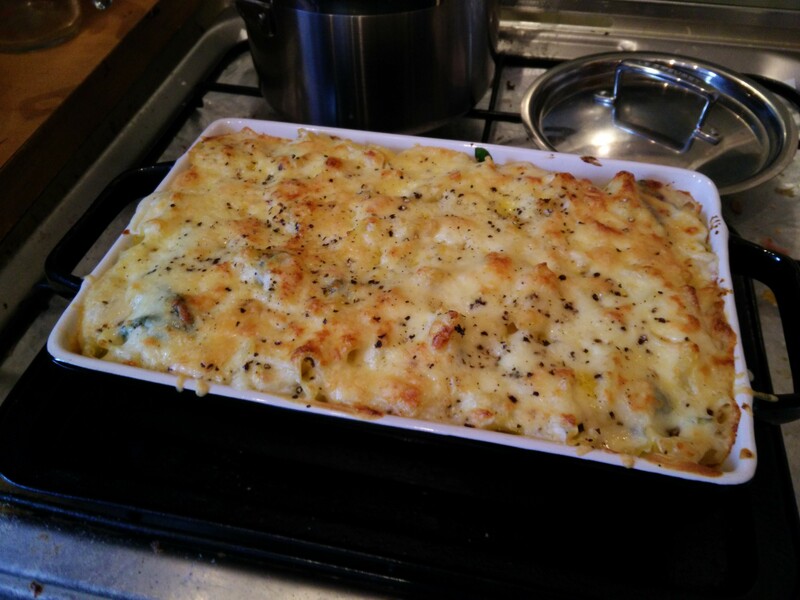 That’s really excellent comfort food! We all need comfort food at present, after dropping out of Euro 2016 and losing the referendum.